With decades of experience helping clients design, specify and install environmental enclosures, PortaFab’s vast assortment of modular components offers a direct solution for the environmental needs and security requirements of colocation data centers. Our pre-engineered modular components allow you to construct reliable multi-tenant housings within your data center for ultimate security, or to create hot aisle and cool aisle configurations for data center cooling and energy efficiency. 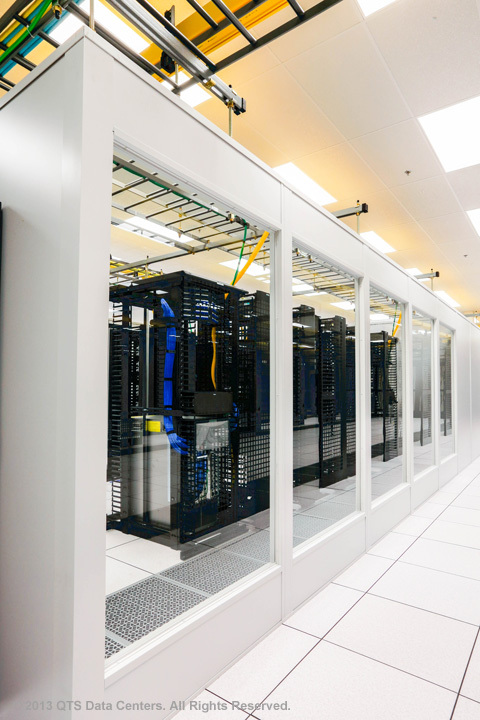 If physical security within the data center is your ultimate goal, our prefabricated modular wall systems can be used to create secured building enclosures inside of a data center to house your private servers. 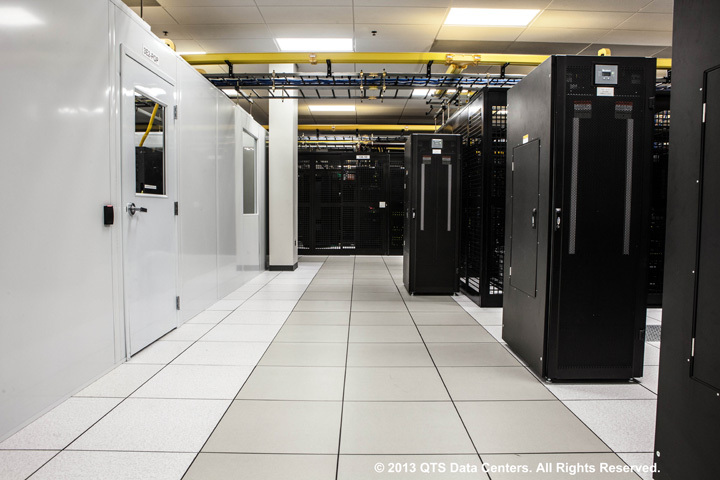 Learn more about Data Center Physical Security. Looking for a green data center design? If energy efficiency is your goal, our modular enclosures can be arranged in a variety of hot aisle and cool aisle configurations in order to reduce energy use and consumption, providing valuable savings on energy and electricity costs. Contain temperature with curtain walls. Funnel airflow with hot and cold aisle designs. Learn more about Green Data Center designs.